Update: Google Chrome now allows you to change the default download location in Android. Here is how you can enable this feature. You should be able to change the download location here. 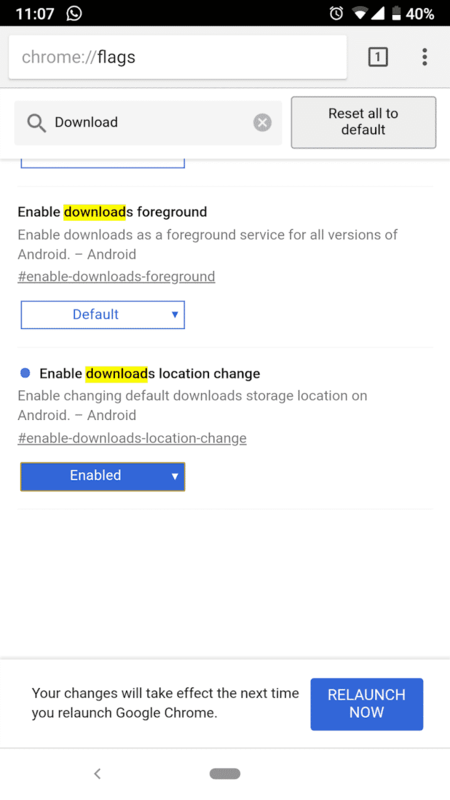 Google Chrome for Android will soon let you change the default download location. Currently, you cannot change the default download location to another folder. There are plenty of users who use Firefox instead of Chrome on Android because of this. According to a code change request that was added today, Chrome for Android will soon get this feature. This will initially be available behind a flag. Flags are experimental features that you enable or disable from chrome://flags. Add flag to chrome://flags for downloads location change. 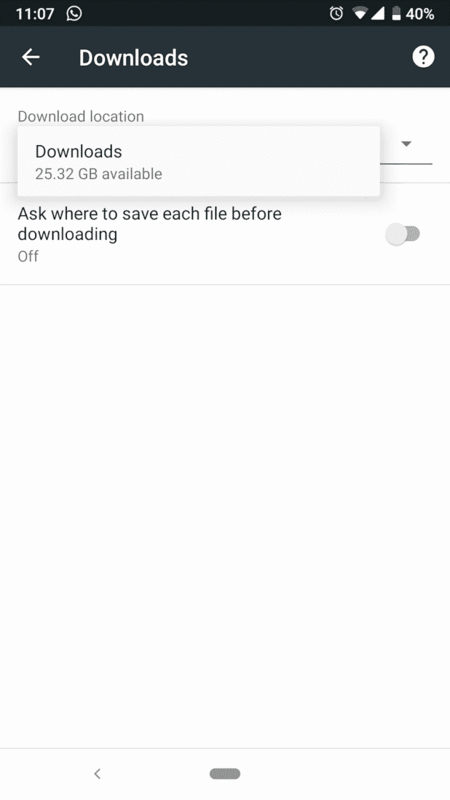 downloads storage location on Android. The bug associated with this code change is available here, and states “̌[downloads] implement downloads storage location change functionality. There is a design document linked from this page, but that’s private. 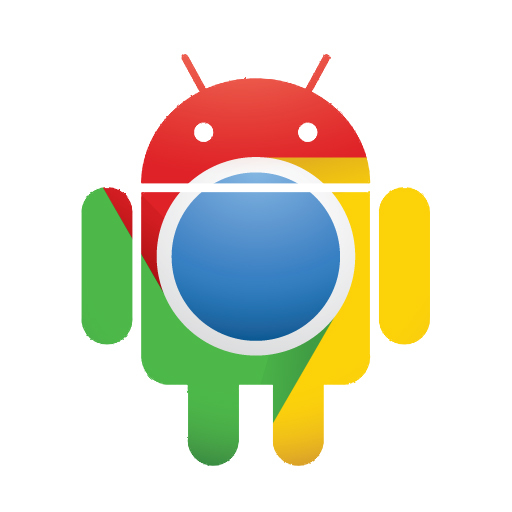 This flag might show up in Chrome for Android Canary version soon. I have never considered changing the default download location on Android. That might be because I do not download much using my phone. However, I will definitely be testing this feature. What about you? Are you looking forward to trying out this feature? Do you think it will be useful to you? Let me know in comments!